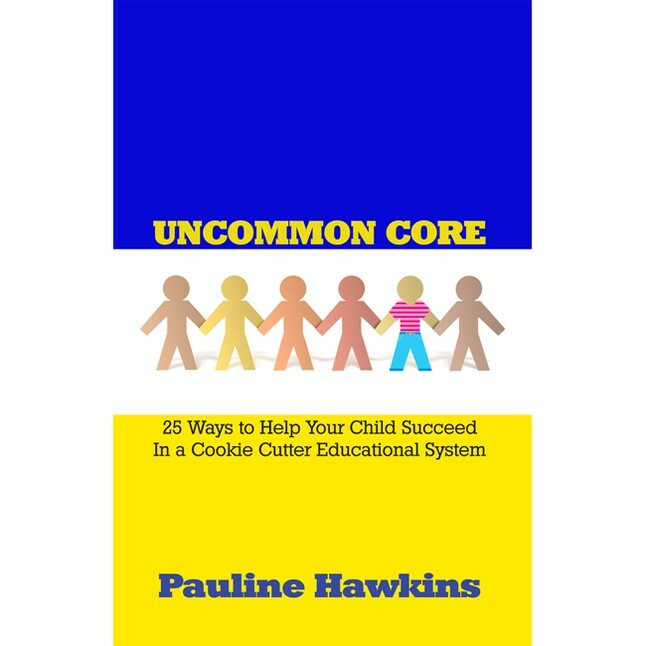 In Uncommon Core: 25 Ways to Help Your Child Succeed in a Cookie Cutter Educational System, Pauline Hawkins shares stories from her 11 years of experiences as a high school English teacher to help parents and students prepare for the American school system. The tales range from the touching and uplifting to the surprisingly poignant, and they encompass the full spectrum of teen-age students: the bullies and bullied, the confident and shy, the producers and drifters. Hawkins forcefully connects with the reader—as she did her students — by laying herself bare, showing her vulnerability, honestly recounting her experiences, good or bad, and imparting what she has learned in the process. All throughout Uncommon Core, Hawkins astutely takes a holistic approach to education, attempting to nourish each student’s particular abilities, pushing some, comforting others, and always with an eye toward creating fully functional, stable, independent, educated adults. Many chapters show how difficult a task that can be. High school teachers must do their best to enlighten while constantly facing the stormy dramas of teen-agers – trying to instruct in a hurricane of angst, passion, defiance, boredom, depression, fear, and bewilderment. Hawkins’ mission, indeed that of all teachers and parents, is complex and delicate, requiring patience, kindness and psychological insight. As Hawkins shows so clearly, it is so much more than rote-memorization lesson plans for standardized tests. Soulful and wise, Uncommon Core is an important read for all parents or teachers who want to prepare themselves or their children for the current public school experience. This entry was posted in Uncommon Core and tagged Book Review, Parents, Students, Teachers, Uncommon Core. Bookmark the permalink.